This Saturday, we’re taking a break from the kitchen to get out and enjoy the outdoors! (Don’t worry – we’ll be back next week with our newest sangria!). To keep you going while we’re out and about, we’ve compiled a shortlist of sangrias we’re considering for the weekend, captured from all over the web, along with suggestions of which wines from your personal cellar would make perfect pairings. Follow the jump for the full list! why? These wines are usually made dry, and they all have strong berry-profiles that will pair nicely with the citrus, without strong oak undertones that would overpower the subtlety of the apple. why? These whites have lively acidity and strong, well-balanced minerality which gives them a subtle fizziness that pairs well with sweeter fruits like peach and plum, and complements the freshness of the mint. why those? Kiwis and blackberries pair nicely with the tartness of the Sauvignon Blanc’s strong gooseberry flavours and its bold acidity. The Chamblaise is also a good choice because it isn’t as oaky as other whites, and its soft fruitiness and delicate floral undertones pair well with the mint and tropical fruits. why those? The Australian Verdelho’s honeysuckle and tropical fruit undertones pair beautifully with the flavours in this recipe, as do the honey notes and minerality both Australian wines. The Piesporter is another great choice because of its well-balanced acidity and complementary flavours of peach, apricot and melon. It’s always a good idea to have a non-alcoholic option to serve your guests, and this one definitely fits the bill! 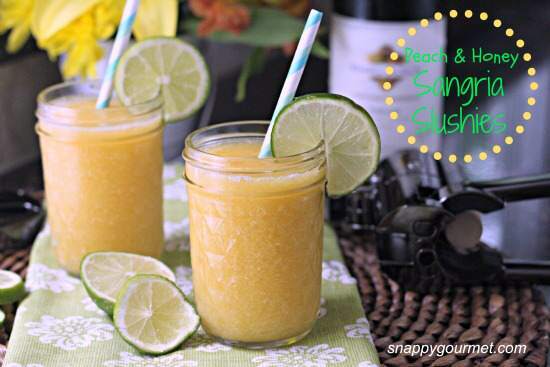 So there you have it – five great sangria recipes to get you through the weekend! Have you tried any of these recipes? Made any modifications? Have a different wine pairing to suggest? Let us know what you think by leaving a comment! 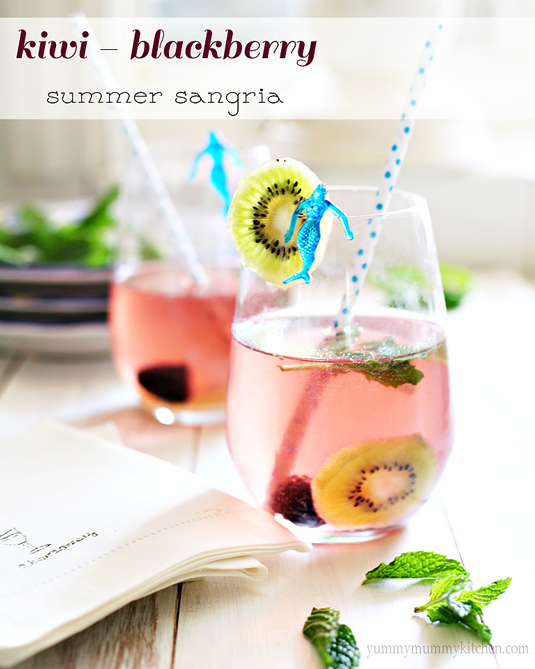 We’ll be back next week with a fantastic new sangria recipe, so be sure to check back! You can also view our past recipes here.